Each passing month, Google are giving further priority in the organic search results to websites which are encrypted with an SSL certificate. An SSL certificate changes the URL of a website from http://www.brace.co.uk to https://www.brace.co.uk and also shows your website with a green padlock when on the site. An SSL certificate’s primary objective is to encrypt the data of the website when a user browses the site in a website browser. Google have been mentioning that they intend to give priority in the search results to websites which are encrypted as they want to contribute towards the internet being a much more secure platform. Here is an infographic based on a study from Moz. In April 2017, roughly 50% of all results on page 1 were websites which had an SSL certificate, currently, this is around 60-65%. 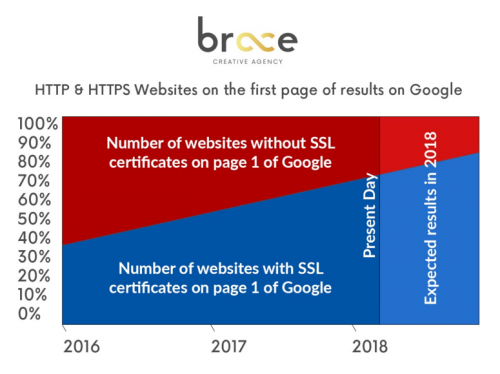 This number will continue to rise throughout 2018 until very few websites without an SSL certificate will appear on page 1 of Google. 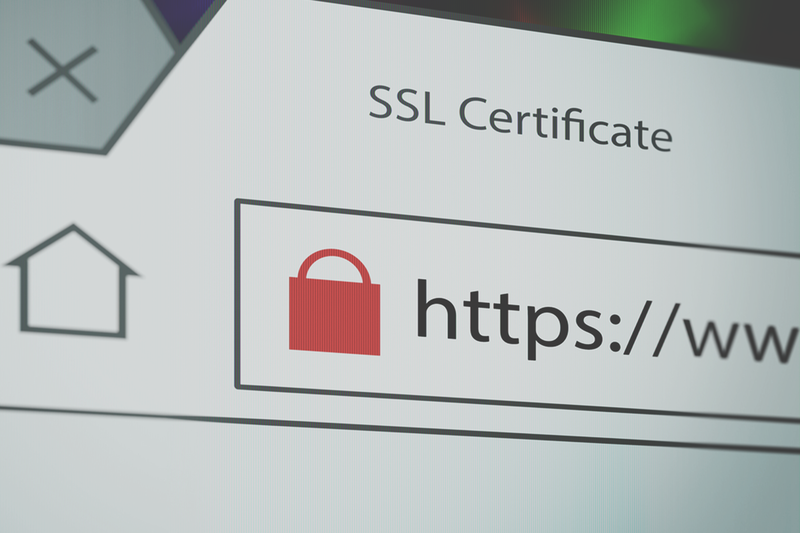 If your site does not currently have an SSL certificate we highly recommend purchasing one sooner rather than later to prevent being pushed behind competitors in the search results who have purchased an SSL certificate. We have seen some sites drop position which are still not encrypted and vice versa, site that’s have adopted an SSL certificate earlier have seen good results. Even if Google doesn't turn up the reward or penalty for HTTPS soon, other changes are in play, such as Chrome warning visitors about non-secure pages when those pages collect sensitive data. As the adoption rate increases, you can expect pressure to switch to increase. Encryption – Sensitive information, even details entered on a form are protected from hacks and eavesdropping. Authentication – The green padlock provides reassurance to a visitor. SEO advantage – Google has confirmed sites which have an SSL certificate will gain an advantage over sites which do not. 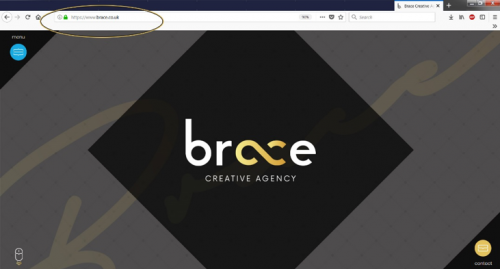 If you wan to save your website from any possible drop in Google search engines, call the team at Brace and we will be happy to install one for you!